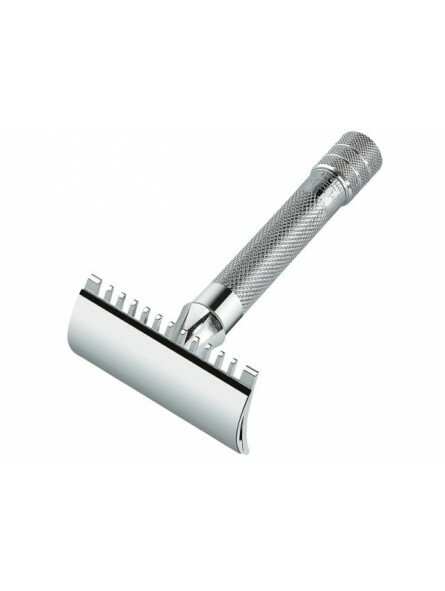 Merkur 15C Open Comb Double Edge E Safety Razor. 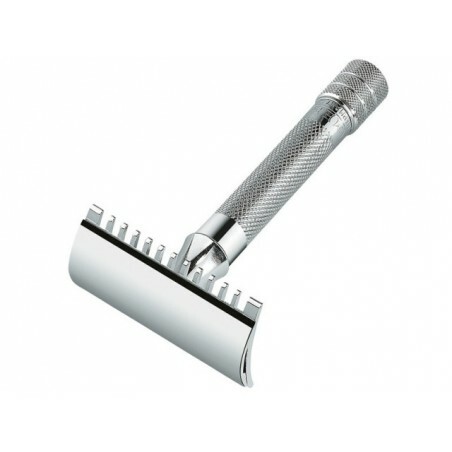 It is a 3 piece razor design offered with a chrome finish handle. Slightly lighter than other Merkur HD versions. The open tooth head offers a closer or more aggressive shave than a conventional close head.